BARSYL's core competency is in rail systems consulting. For over twenty five years we have strongly built on this foundation having worked on railway projects across the globe. Our team of railway professionals are here to listen to you and provide answers to implement your rail project successfully. With our experience and comprehensive knowledge of the railway sector, we are in a position to deliver the most cost-effective and efficient solutions. We have executed many projects in the above areas from conducting feasibility studies to field surveys, design of bridges to stock yards, power & traction to signalling & telecommunication through to manpower planning & training. Final Location Survey for 95 km of New Rail link between Dallirajhara and Rowghat on the Raipur Division of South East Central Railway. (RVNL –Raipur Division ,Chhattisgarh). General Consultancy Services for Chennai Metro Project, Chennai, India. 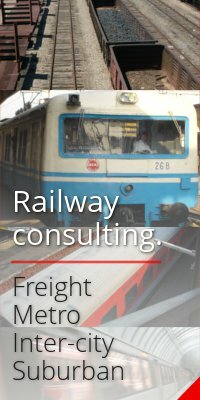 Consultancy Services for rail link of Proposed Container and break- bulk cargo at Borkhedi, Maharashtra, India. Design consultancy for Railway Siding to Reliance Energy Power Plant at Yamuna Nagar, Haryana, India. Providing solutions for coal transportation from Chattibariatu & Kerandari Mining Block to the NTPC Power plant at Jharkhand. Design & detailed engineering for 650km of P-Way, Signaling and Overhead Electrifications works of Great Western S&C Renewals project, UK. 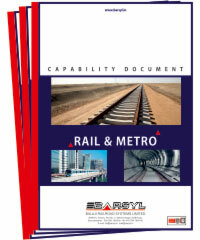 Design and supply of Special Rail Equipment for construction of MRT line in Singapore. Feasibility Study for Conversion/Construction of Dhaka-Chittagong Railway Line into Double Track,Bangladesh. Audit on Maintenance and Operational practices of Kuala Lumpur Monorail system with a total of 11 fully elevated stations. Ultrasonic Testing & Inspection of Rail Weld joints of Syrian Railways for Dier Ezzor to al-Bokamal. We are a leading Rail Systems Consultants in the World and we know how to get your prestigious rail project On Track. On Time. Always!